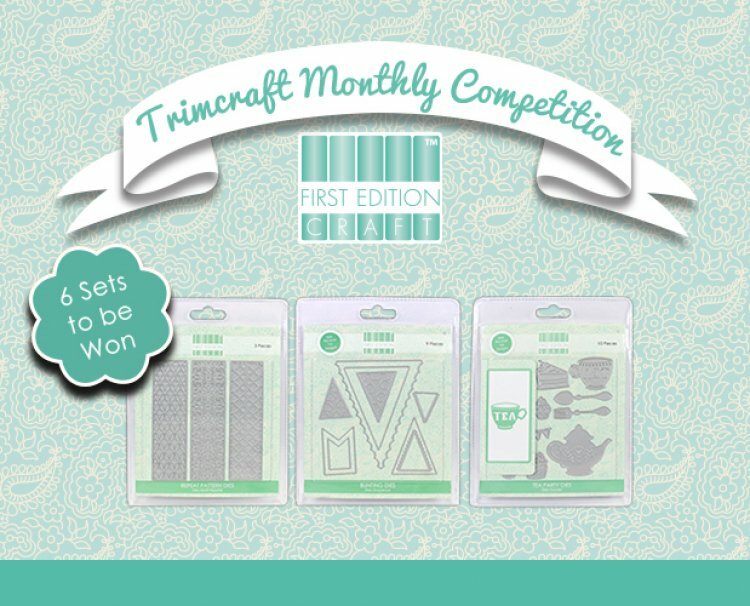 This month, we have three fantastic die sets in our giveaway that can be used all year round. Each collection includes a variety of high quality die cuts, allowing each handmade project to have a unique finish. These First Edition dies are perfect for a range of occasions and are compatible with most die cutting machines. The crisp First Edition Bunting dies can be used for a selection of stand out designs! From pizza slices to celebratory bunting, this collection is a must have for any crafter. The First Edition dies in this crafty bundle will enable you to create simple and creative designs in a matter of minutes. With so many fab die cuts on offer, you’ll be able to decorate the biggest to the smallest of crafts. This bundle also includes a Background die set that will add detail and delicacy to your craft project and a Tea Party themed collection that will be perfect for elegant and traditional makes. To ENTER, simply log in and press the button that reads, Enter this Competition! This giveaway will close on the 30th November so make sure you enter for a chance to win this brilliant collection of First Edition Dies, Good luck everyone!